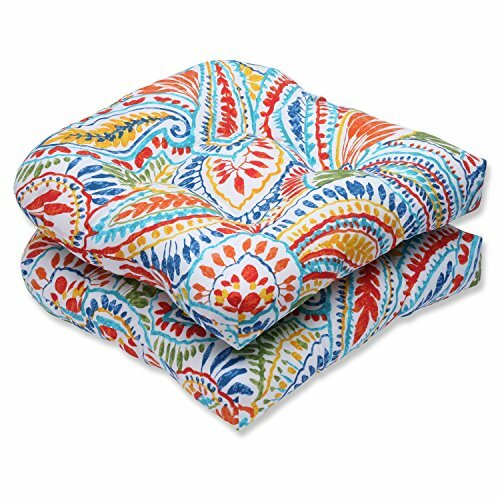 This superbly crafted set of two seat cushions features a vibrant paisley pattern in bold hues. Perfect for drab furniture in need of a stylish refresh, this accent will instantly revive seating. Creative and unique this multicolored design will excite for seasons to come.